This Hot-Dog Steel Pontoon is a specially designed pontoon. And we have provided plenty of giant pontoons to our different contractors. Any projects on sea can not work without pontoons. With more than 10 years' exprience, we can guarantee the quality for all of the related manufacturing process here are in strick conformity to the standard of Unisite or other Classification Society. We help designed a ponton panel based on our rich experience for a restaurant in Australia. All the weldings are very critical for pontoons. We have a perfect managing system and quality control system which from initial work, to process control, to final control, forming the whole process traceability with a good command of quality and production schedule.You can see the quality of all our previous orders were guaranteed based on our good procedure and service. rich experience in military shipping building and have good marine practice. Looking for ideal Offshore Floating Steel Pontoon Manufacturer & supplier ? We have a wide selection at great prices to help you get creative. All the Hot-Dog Steel Pontoon for Sale are quality guaranteed. 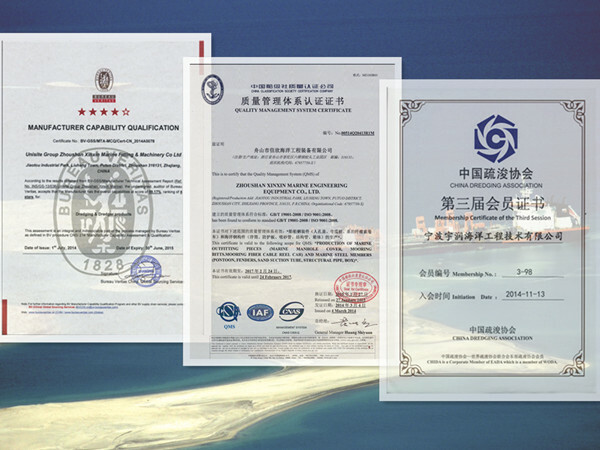 We are China Origin Factory of Giant Steel Pontoons. If you have any question, please feel free to contact us.